Over the past year, International Language Programs (ILP) has started a new Humanitarian Program. Now ILP is offering two different programs: a Humanitarian Program and an Exchange Program. Which one is best for you? We're going to talk about our two programs in this post but if you still have questions about this or something else, come talk to an ILP representative! Type of Service: With our Humanitarian Program, volunteers teach and serve children who could not afford an English education — in most cases, children will come from extremely poor economic conditions. If you are interested in the Humanitarian program, come apply! We are always looking for more volunteers. We want to send as many volunteers as possible to the Humanitarian programs so we can continue opening new programs like this and new countries to provide even more service. Can I know a bit more about these countries? In this country, you'll be volunteering in an orphanage and hospital; it's the only ILP program where you won't be teaching English. The kids have food, shelter and everything they need to live but these places aren't staffed with enough people to give the kids enough one-on-one attention. Your interactions help the kids learn simple things such as how to stand up, turn the pages in a picture book, or balance on a swing. In addition to learning basic skills, many of the children our volunteers work with have severe disabilities. What you'll be doing in Romania takes a lot of patience, effort and can be challenging at times. Some of these children have real difficulties in life that we won't be able to fix, but we can make life for them a little bit more enjoyable because of our care and attention. Volunteers here are teaching English to children who come from extreme poverty. Your time and service go directly to children who could not otherwise afford to attend a school like this. Many children come from rough backgrounds; parents might be working full time and aren't home to care for their kids, so your one-on-one attention is also needed. Through this ILP Humanitarian Program, these children will receive an English education, free of charge, which will open many doors for their future, especially in a city where many jobs surrounding them are in the tourism industry. 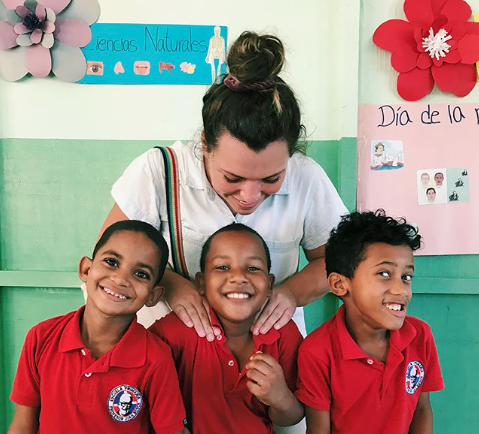 Take a peek into what volunteering in the DR is like, right here. 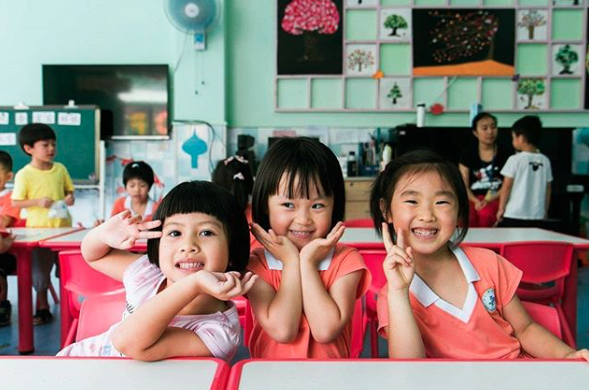 If you choose to volunteer in this country, you'll get onsite help as you teach and volunteer in the orphanage there — in fact, our volunteers actually live in another section of the orphanage with their cute kids.. This area is also extremely poor, and you'll be able to help out in and out of the classroom. Haiti is the poorest country in the Western Hemisphere and your service with ILP and other service opportunities really help boost the neighborhood's morale and situation. During your semester, you'll be able to teach and connect with students who will be able to use these English skills to hopefully get better jobs in a country that depends on tourism. 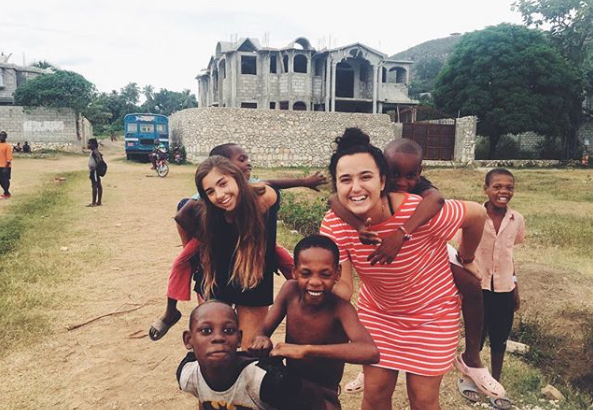 Want to know what a typical day is like, volunteering in Haiti? We have you covered. The situation is a little unique in this Central American country; ILP volunteers will still be providing an English education to children who would not be able to afford it otherwise, but with a twist. Costa Rica's economy is based on tourism but also has a heavy expat population, children of whom are able to afford to attend expensive private schools ... but not all children in Costa Rica can attend these expensive schools to learn English. Since the tourism industry in Costa Rica is what the country thrives on, all children would benefit by learning English, so ILP provides an English education to children who can't afford the private programs, but may not necessarily come from impoverished conditions. The program in Nicaragua is similar to the schools in the Dominican Republic and Haiti; the children ILP volunteers will be teaching come from extreme poverty. Nicaragua's second only to Haiti when it comes to the poorest countries in this part of the world. Volunteers will be living 10 minutes away from where they teach and will walk though the neighborhoods where your students live; you'll quickly notice dirt roads, houses held up by scrap metal and wood and entire families living in small structures with tin roofs. Like all ILP humanitarian programs, you'll be providing a free English education to children who wouldn't otherwise get one. Volunteers will be living and teaching in a suburb with limited means; you'll be teaching English to young children which has an enormous impact ... since English is used in public schools but multiple local languages are spoken at home, students are typically starting school and testing in a language they don't speak, which encourages a high drop out rate. Imagine starting school and taking a math test or a language exam in a language you don't speak? Teaching English in Uganda is an enormous help to the young students you'll teach. Additionally, most families here don't have piped water in their home and need to walk daily to get water from a local spring, pond, or well. Since not all people have access to clean water, volunteers will also be able to help provide clean water to the community. Price: All of our program fees (no matter which ILP program you go on) includes housing, food, airfare, visa, language and culture classes. Because of the nature of the service and the economic conditions of the people being served by our Humanitarian program, the schools/orphanages can't subsidize the cost of the program. The cost in Uganda and Romania is $5,470. We recommend that around $3,000 of that program fee comes from the volunteer's fundraising. Cost in the Dominican Republic, Haiti, Costa Rica and Nicaragua is $3,720. We recommend that around $1,000 comes from fundraising. Don't worry! We have tips to help you fundraise: Click here. Locations: China, Lithuania, Mexico, Russia, Thailand, and Ukraine. Volunteers also spend quality time with these children, being a positive example to them. Some of these children (generally in China) do not see their family often which makes nurturing from a loving adult even more important. Price: Schools in our Exchange program use the tuition that the students pay to help make our volunteer's semester abroad in their country more affordable. These countries have a program fee of $2,520, which includes housing, food, airfare, visa, language and culture classes. Aside from the main differences listed above, both programs have the same elements of an ILP semester. Whether you're teaching English in a classroom or holding babies in an orphanage, you will still enjoy the parts of ILP that appeal to so many of the volunteers — make a difference in the lives of children around the world, enjoy traveling during vacation time given throughout the semester, build your resume by gaining international experience and having volunteer experience, serve with volunteers who have similar standards, volunteer part time (about 20 hours a week), and spend the rest of your free time immersing in the new culture you'll be living in.